How is MSG and chicken flavoring made? What do buckets of chopped chicken liver have to do with all this? Read on…. The very first factory I ever went to in Zhejiang province manufactured, of all things, MSG (that is, Monosodium Glutamate, the ubiquitous condiment used in Chinese restaurants all over the world). It was a last minute trip. I had just met Professor Yang the day before, and she invited me to accompany her on a trip to a MSG plant the next day. So I woke up the next morning to accompany Professor Yang and one of her students to the factory, located in an inland city in Zhejiang province. We drove for a few hours through the city and out into the countryside. Professor Yang explained to me that this city, like many areas of Zhejiang, was one of the earlier in China to receive a special economic concession that allowed for more free trade. The enterprising spirit arose among the farmers and up sprung a myriad of factories, which is why many of the factories are located in the countryside among rice fields. 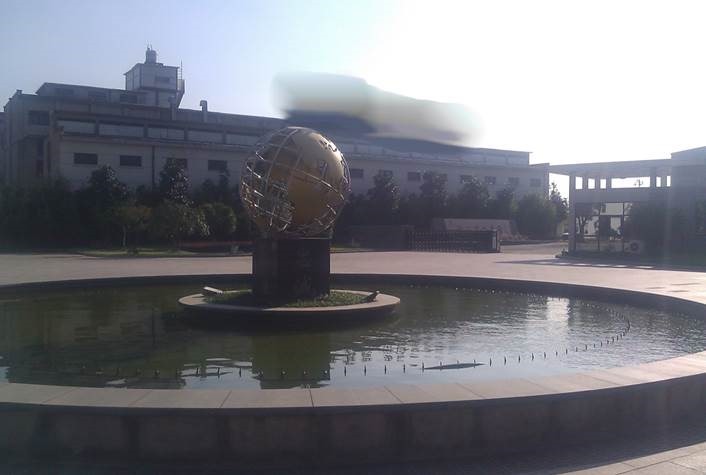 A fountain plaza with a globe greeted us at the front gate of the plant. The lobby looked nice. As with any factory (including ones I have been to in the US), the calmness and beauty projected by the lobbies and front plazas of these factories hid the reality of noise, movement, and violence of the machines and workers in the buildings in the back. Mr. Wei, owner and founder of the company, greeted us in the lobby. After some initial discussion and small talk, he took us on a tour. The tour was not exactly exciting, and the factory complex was but a shadow of its former glory (in the MSG production world, that is). 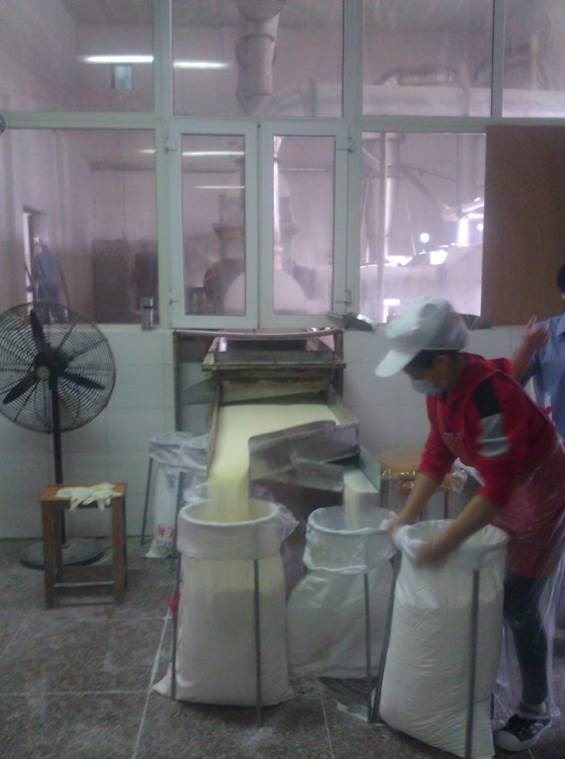 In the past, the company manufactured MSG from scratch, but nowadays competitors in Northern China have the cost advantage. 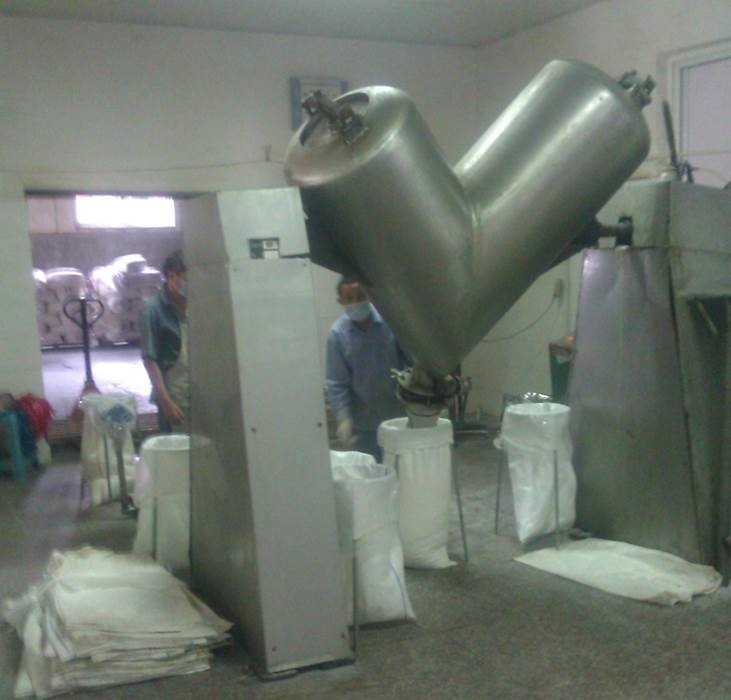 As a result, Mr. Wei’s company no longer manufactured MSG from scratch, and instead bought crystalline MSG from other manufacturers and converted it to powder via a condensation/evaporation process. 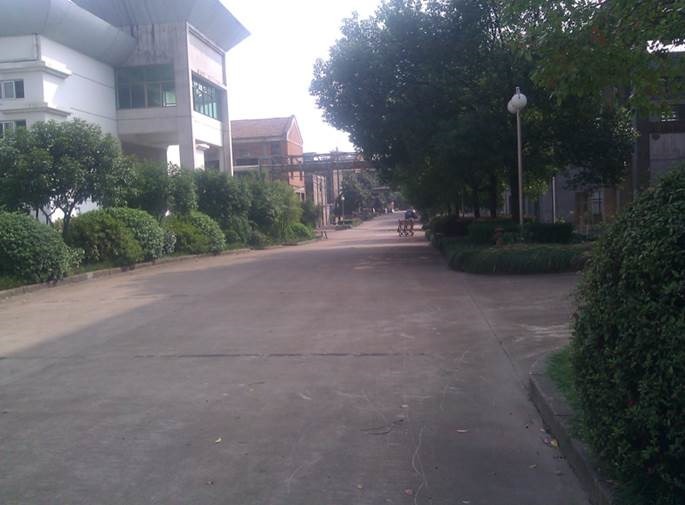 Many of the factory buildings were no longer in use, making for a pleasant walk through the several-acre campus. Our first stop was at the steam evaporation/condensation building, which was still being used to convert crystalline MSG from other manufacturers and needed to be environmentally audited. 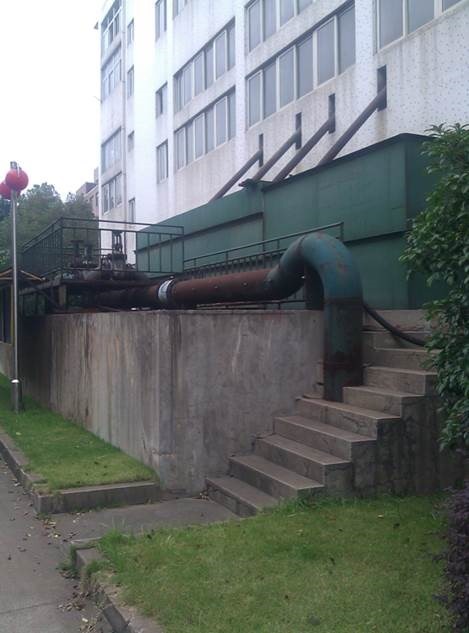 Mr. Wei took us to the 4th floor, which was filled with big huge boilers, and explained the process to us. We also went into a building that manufactured chicken flavoring (鸡精), a powdered condiment used to make things taste, well, more like chicken. The building reeked of chicken liver. So much chicken liver, in fact, that my clothes smelt of it for a few days. I also promised myself never to eat meat again (I broke that promise the next day). The ingredients to good chicken flavoring, Mr. Wei explained, were MSG, salt, chicken liver extract, and some other bird liver extract. Mix that all in a vat, dry and turn it into a powder, and you’ve got some chicken flavoring ready to go. Buckets of processed chicken liver and other things, being mixed together. Perhaps an experiment for better chicken liver flavoring? Whatever it was, I didn’t dare ask, and didn’t dare linger. My senses, especially my sense of smell, were greatly offended, and I didn’t want to think about it anymore. To be fair to Mr. Wei and his company, I don’t have anything to compare it to – what are the McDonald’s production plants like in China? In any case, the chicken flavoring is probably safe – at least in the short-term – to use, since no big news outlets have broken stories about chicken stock poisoning. My logic may be flawed, but this much I do know: my school cafeterias definitely use MSG and chicken flavoring in their food, and I’m still healthy. As for the above image, I’ve erased it from my memory. You probably should too. The first thing I asked to Mr. Wei at lunch was whether the food we were eating had MSG in it. “Of course it does,” he said. As if anticipating my thoughts, he then went on a long tirade about how safe MSG is. “Most foods in China don’t reach the safety levels of MSG,” he said. I thought about the vats of chicken liver we saw earlier, but didn’t say anything. “Why don’t Western countries use MSG in their cuisine?” I asked. A more lively conversation came up later during the meal when Mr. Wei and Professor Yang started asking me some questions about my experience with the U.S. education system, and what I thought about the Chinese education system. I have gotten a lot of these US-China comparisons during meal conversations. It usually starts with someone asking me: “What is ___ like in the U.S?” before proceeding to say, “You see, China is not like the U.S. Let me explain to you what ____ is like in China.” This is followed by a lecture about ____ in China. Almost as if they feel this duty to educate young Chinese who grew up in the U.S., of which Steven Zhang is one of them. I don’t mind too much, since, except for the sometimes blatant overgeneralizations/stereotypes, I find what they have to say interesting. Back to the conversation. After asking me some questions, Mr. Wei and Professor Yang started talking about raising kids and the educational system in China. Mr. Wei boasted that his son was currently in grad school at an Ivy League institution studying environmental science. His son was one of the top scorers in Zhejiang province in the gaokao (China’s university college entrance exam), and of course, went to Tsinghua University, the top university in China. Mr. Wei boasted that he only let his son work until 8pm everyday – “Builds efficiency and lets the kid have free time,” he said. If that meant not doing some of his math problem sets, then he let that be. For learning English vocabulary, he told his son to copy each word seven times per word instead of the teacher-instructed ten times to save time (“The teacher isn’t going to count exactly how many, so it doesn’t matter”). I respected Mr. Wei more after that conversation. For most of the day, I was confused about what exactly Professor Yang was doing for the project. She kept talking about renewing an environmental permit on behalf of the local Environmental Protection Bureau (EPB), for the company. Was she doing a school project with the company? Or was this just a favor? Was she doing this project as a personal project separate from her teaching duties? It took me most of the day to figure out the situation. It turns out that in China, many environmental science and engineering professors often act as consultants to companies or local EPBs. A well-respected environmental science professor who does consulting for major US based retailers described it to me like this: in China, institutions of higher education are generally trusted by all parties. EPBs are often low on manpower/specialized knowledge. Professors need to pay for their students. So consulting provides a good source of income for the professors, while giving their students valuable real-world experience, and fulfilling the manpower/specialized knowledge gap. In this case, Professor Yang was willing to help Mr. Wei obtain the license from the EPB by doing the audit. She would obtain some money for her school along with her laboratory, and perhaps obtain some data that she would be able to use for a future academic paper. In addition, the project would provide some real-world experience for her students. Mr. Wei was willing to hire Professor Yang as a consultant because he had dealt with Professor Yang’s colleagues before, and knew that he could trust her to do a fair audit. Finally, the EPB knew the reputation of Professor Yang’s university was good, and was also willing to trust her. Mr. Wei’s personality was also eye-opening. Before meeting him, I must admit that I carried a hint of the Western stereotype that all Chinese factory managers were uneducated businessmen who would stop at nothing to make money. I was impressed by how Mr. Wei talked about raising his son, and his general manner garnered my respect for him. 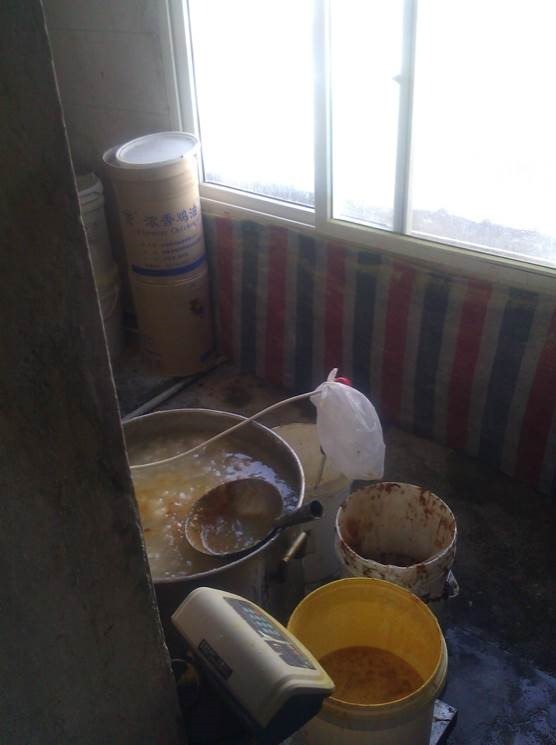 Likewise, while the bucket of chicken liver I saw was quite disgusting, Mr. Wei’s factory seemed generally well run and Professor Yang gave the impression that Mr. Wei’s company was at least average. How would I really know what average was though? I would have to visit more factories. Most reputable online websites, such as this Mayo Clinic article, generally concur. While the US Food and Drug Administration (FDA) classifies MSG as “generally recognized as safe”, a small percentage of people have adverse reaction to foods containing MSG. Thanks for posting Steven! How have you been? “The enterprising spirit arose among the farmers” – I’ve always been curious about the feeling towards entrepreneurship in Chinese culture. Does everyone aspire to someday own a business, or are there just enough farmers to begin with to fill a wide variety of niches? How do they decide what to work on? So much of American entrepreneurship is aimed at solving inconveniences that they founders themselves experience, but these companies are part of much more complex supply chains. How do they know what is in demand? How do they build the technical skill to even choose which machines to buy? This is an amazing blog, representing an amazing experience – congratulations!